Akiko - We often use antibiotics to treat bacterial infections that don’t resolve so, for instance, a doctor might prescribe antibiotics for a bacterial infection in the throat or something that is a festering wound in the skin, and a variety of other things. And it was known that antibiotics are very specific to bacteria and they’re really designed to kill specific bacterial groups. However, our finding shows that certain types of antibiotics, known as the aminoglycosides, can trigger antiviral responses in mice, and we’ve tested the effect of antibiotics in a variety of viruses including herpes simplex virus, which is a causative agent for genital herpes. We tested this against influenza virus infection, which is the cause of flu, and Zika virus which can be transmitted through sexual contact as well. In all cases, an application of neomycin prior to viral infection protected the mice against these viruses. Izzie - That’s amazing! So basically, you’ve applied a type of antibiotic which is, in its name, more liked to tackling bacteria but you’ve seen this antiviral response in a wide range of viruses. So how exactly does this work and how did you come across this? Akiko - We took the antibiotics, the neomycin, and put it onto the skin of the mice just as you would do with neosporin that you would buy from pharmacies where you would apply the cream onto the skin. We took a similar approach where we apply the neomycin onto the vaginal cavity or, in some cases, we applied it through the nose for infections like influenza virus so it wasn’t swallowed by the mice. As soon as the neomycin was applied to the skin, what happens is that the host cells, which in this case is the skin cells, take up antibiotics and induce signals to allow leukocytes, which are these white blood cells that are circulating in the blood, to come into that area. These leukocytes then take up the antibiotics in the skin and start producing factors known as type 1 interferons. These interferons can then bind to neighbouring cells to promote protections against viral infections. Izzie - Would we see this response in just any type of antibiotic? Akiko - No, that’s not correct. We actually tested several antibiotics and found that only one of them had this antiviral effect. We really don’t want to promote overuse and misuse of antibiotics because that can give rise to bacteria that are resistant to antibiotics, and that’s a huge problem in the medical field. Izzie - Yeah, absolutely! Obviously this is true in mice; what about humans? How strong is this effect of neomycin? Akiko - Yes. We would love to know what happens in humans. We haven’t applied neomycin in human skin to see what happens, but we’ve added the antibiotics on human cells in tissue culture and show similar kinds of interferon production from human cells suggesting perhaps similar kinds of effects can be seen in humans. Izzie - Wow! So why is this important and what does it mean for the future? Akiko - In the future, what we’d like to do is to use our findings to find new drugs that can be used against viruses. As I mentioned earlier, we are not promoting the use of antibiotics for all viral infections. 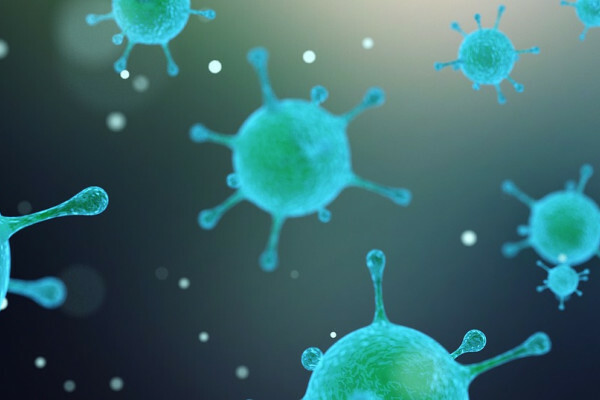 However, if we can understand the molecules involved in inducing this antiviral state, we can actually make new drugs that can selectively kill viruses without affecting the bacteria, and that would be great to do. If you get cold sores and give blood, can the virus be passed on?